With power out across much of Maine -- including my house -- I've been remiss in posting this Portland Press Herald story from the weekend where we broke the fourth groping allegation against former President George H.W. Bush. This one was significant in that it (a) involved a Republican former state senate candidate (so could not be said to be "politically motivated" and (b) is said to have taken place in 2006, when Bush was neither confined to a wheelchair nor believed to be suffering any signs of mental deterioration. Also in the story: a fifth accuser, revealed in a report by the Erie Times-News, dating back to 2004. Details of all of this in the story. The North Atlantic right whale, the world's second most endangered mammal after the species' Pacific cousin, has has a disastrous year here in the northwest Atlantic. 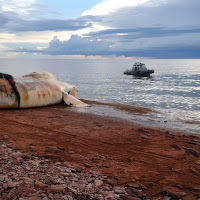 Sixteen of the whales have been found dead since June in New England and Atlantic Canada, more than three percent of the total worldwide population of 450. Scientists who study the whales met in Halifax this past weekend and warn that the animals will be extinct in just 23 years if present trends continue. They have recommendations as to what should be done and say it should be done now, not after further study. And you can read all about it in my story in yesterday's Portland Press Herald. 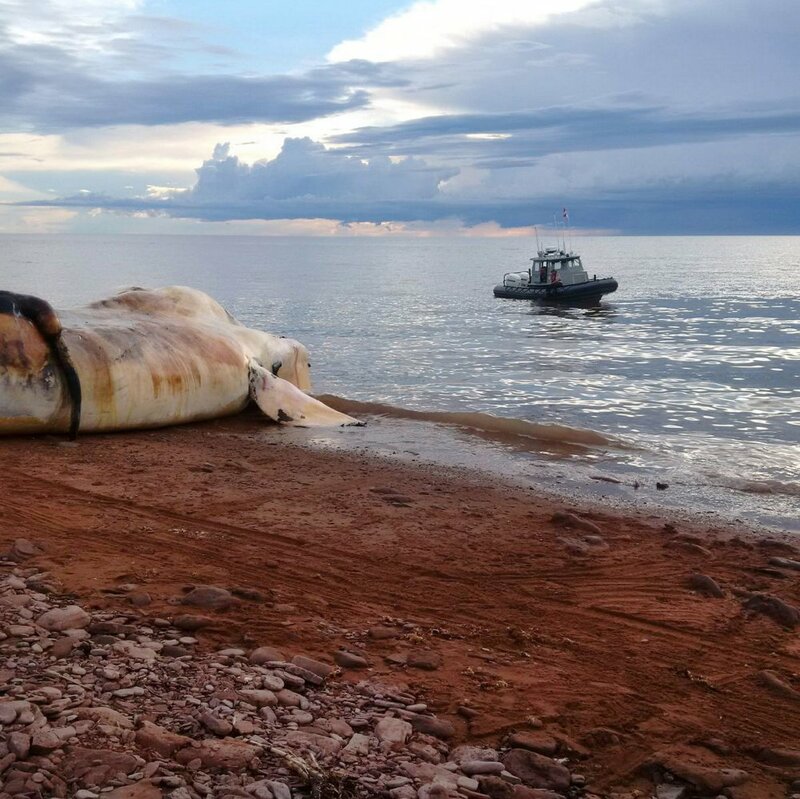 I reported earlier this summer for the Press Herald about the right whale die off, with some additional background about the species and how its been monitored. I've reported on the species on and off for nearly a decade for other publications, context you can find by starting here. A final housekeeping note: for those following President Trump's voter fraud commission, I had this update, wherein Maine's member blasts the group's secrecy and evokes the law to demand he be kept in the loop on its activities. The indefatigable team at CSPAN's City Tour came to Portland, Maine this summer and the segments they produced are airing this weekend, spotlighting our little city. Here's the broadcast schedule for those. I'll post links to each segment as they come available. 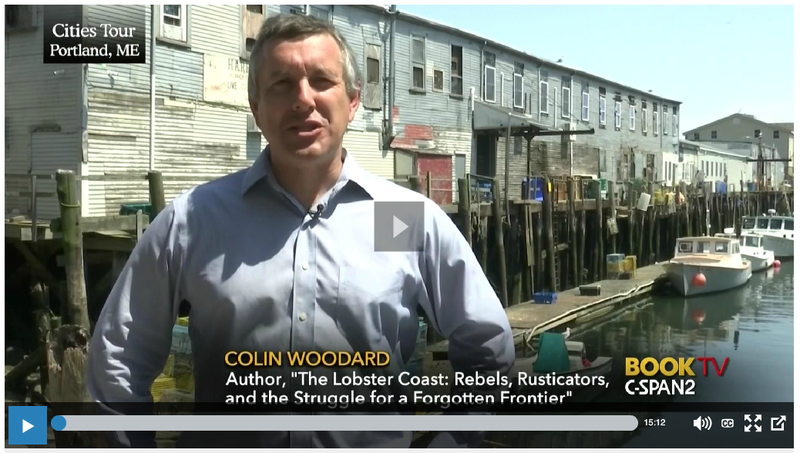 Lobster Coast on "Book-TV in Portland, Maine", CSPAN-2, Saturday, October 21 during the 1203 pm Eastern broadcast. If you're interested in American Nations, my full talk at Iowa State was carried on CSPAN-1 a couple of years back and is available here. 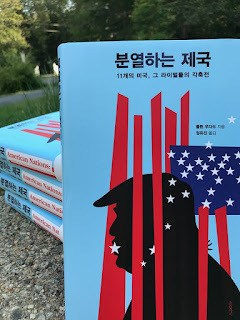 The Korean language edition of American Nations: A History of the Eleven Rival Regional Cultures of North America arrived recently in my mail. Turns out Donald Trump made the cover, amid illustrative elements that evoke missile launches/prison bars and constellations/speech bubbles. 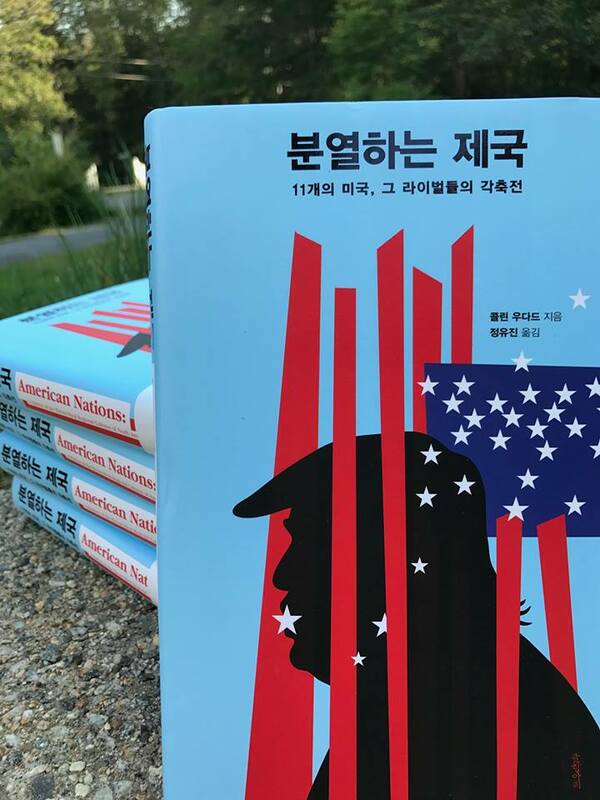 Given the way Trump has heightened tensions on the peninsula via his twitter account, this is probably a savvy marketing move by Geulhangari Publishers. And it looks to be on sale now, at least at this website. Amazingly, this is the first foreign language edition of American Nations, but Japanese is on its way very shortly too. Pleased to have the book available in South Korea, where I spent a fascinating two weeks on assignment during the "IMF" financial collapse of 1997-98. Even visited the DMZ, which seemed tense even then, despite the presence of a gift shop and golf course on the southern side, which I wrote about for the Bulletin of the Atomic Scientists. Hope those who can read it enjoy. Here in Maine and New England generally, the Trump administration's plans to expand exploitation of natural resources in the Kathadin Woods and Waters National Monument has rightly received the lion's share of public attention and debate. But out to sea, something similar has been proposed for the nation's first permanently protected marine reserve, the Northeast Canyons and Seamounts monument. In this week's Maine Sunday Telegram I describe the facts around the debate, which pits a subset of southern New England's fishermen -- and Trump's Interior Secretary, Ryan Zinke -- against scientists and conservationists. Read on for details. For more on the Gulf of Maine, consider "Mayday," the 2015 Press Herald series on climate change hereabouts, or this recent story on the recent discovery that increased warming of the Gulf is not uniform throughout the year. In today's Portland Press Herald I have an update on Joel Clement, the Department of the Interior manager and climate change researcher who earlier this year accused his boss of defying whistle-blower protections. Clement, who grew up in Falmouth, resigned yesterday from the Interior Department via a fiery letter delivering a broadside against Interior Secretary Ryan Zinke -- who he said should himself resign -- and President Donald Trump. Details herein. Greetings on another awful mass-shooting morning in America, this time in Las Vegas. Remember this doesn't happen this frequently in any other advanced industrial democracy when you hear there's nothing that can be done on the policy front. Largely unrelated: in yesterday's Maine Sunday Telegram, I wrote about Pine Tree Legal Assistance, the legal aid non-profit that ended debtors prison in Maine, spearheaded what became the Indian land claims settlement here (and opened up federal recognition for hundreds of tribes), exposed the national "robo-signing" home mortgage foreclosure scandal, and is celebrating their 50th anniversary later this week. Poor people still often don't get a fair shake in our legal system, but boy was it worse in 1967 when PTLA arrived on the scene. Details herein. I've done a few history-minded pieces for the Press Herald and Telegram in recent months, including on former Maine US Senator Bill Cohen's critical role in the Watergate scandal (when Susan Collins was one of his junior staffers), the extensive Maine ties of the long-dead founder of the American Nazi Party (who neo-Nazis revere), and the strange early history of Maine and seacoast New Hampshire.